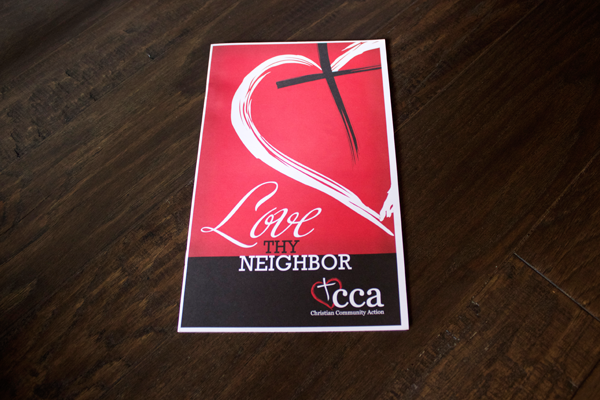 Rainmaker Advertising assisted Christian Community Action with the design and development of a self-mailing annual report. The report needed to be informative and concise while presenting the value-added benefits of the organization. 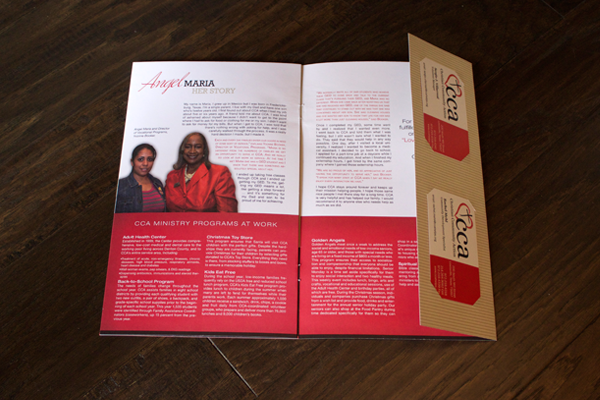 The report was mailed to current donors for educational purposes as well as prospect donors to secure future funding. 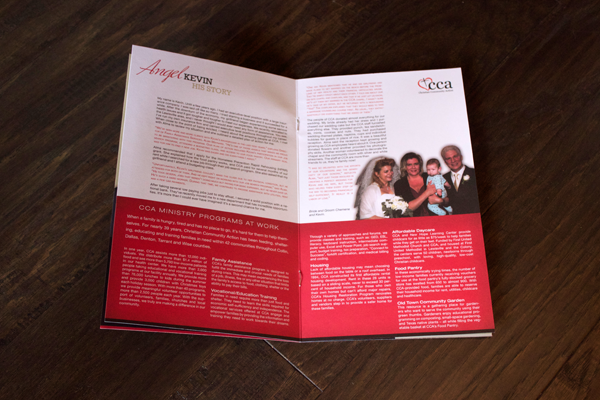 Rainmaker Advertising handled the design, printing and fulfillment of this direct mail piece.